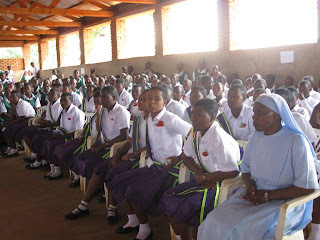 A ceremony was held at St. Benedict Secondary School on September 24th, 2011 for a Form Four class of 2011. 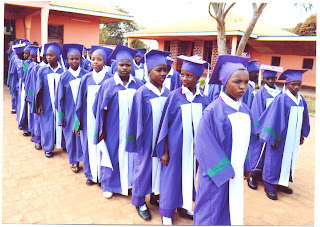 It is the pride of St. Maurus Hanga Abbey to have this institution which offers secondary school eduation to people of any age, religion, race and gender. 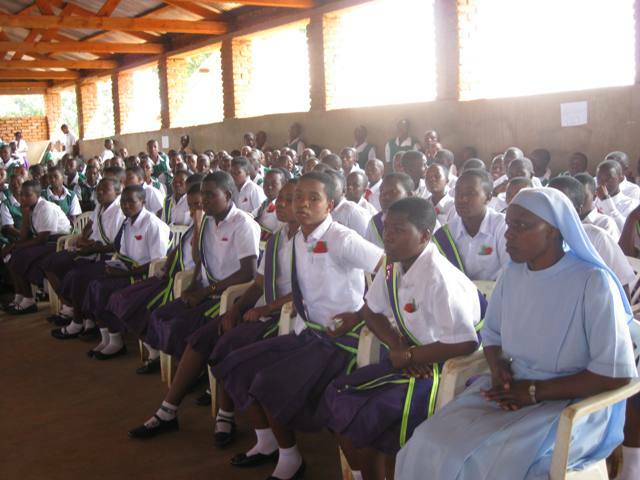 Many religious men and women in Tanzania join religious lives withouth having secondary school education and St. Benedict Secondary school offer that opportunity. 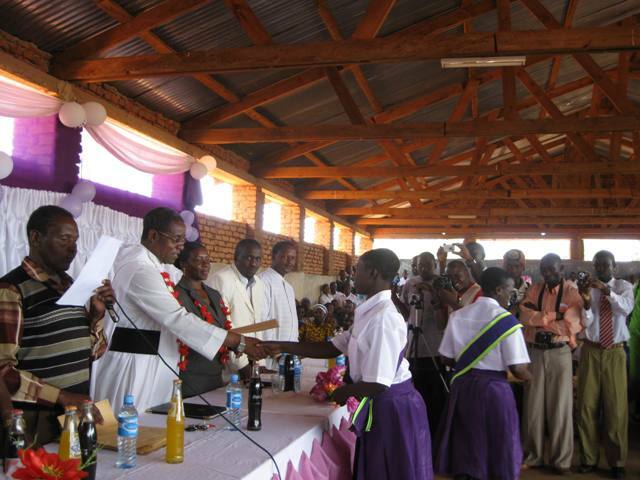 No wonder in this graduating class of 2011 there was also a Camaldose nun, Sr. Angela, graduating. 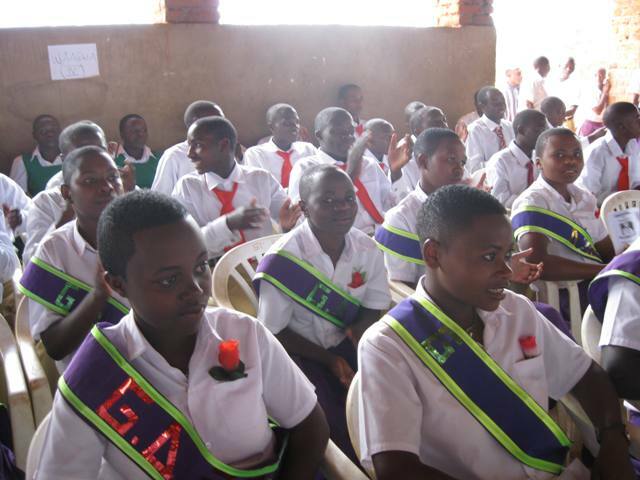 Photos of sections of the graduating class. Sr. Angela a Camaldolese nun is the first from right. Fr. Mgaga Angelo Msele (in whithe cassock and wreath) is standing with the guest of honor Jane Mapunda on his left followed by Fr. 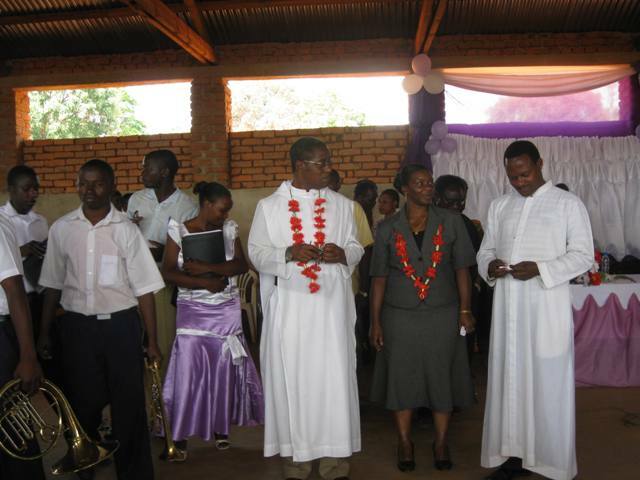 Chrysostom Mkulasi, OSB the rector of Hanga seminary. Graduates receing their certificates of graduating at St. Benedict Secondary School. St. Maurus Hanga Abbey teams with a lot of visistors from around the world, from USA, Austria, Germany, Italy, and even from the furthest continent of Australia! In August this year 2011 the abbey was happy to welcome visitors from Austria . 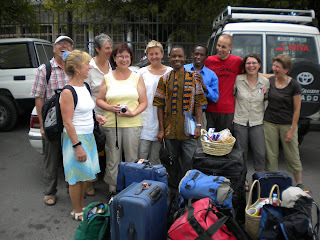 The group was led by Ms. Petra Gehrer a frequent visitor to Hanga and a friend of the abbey. 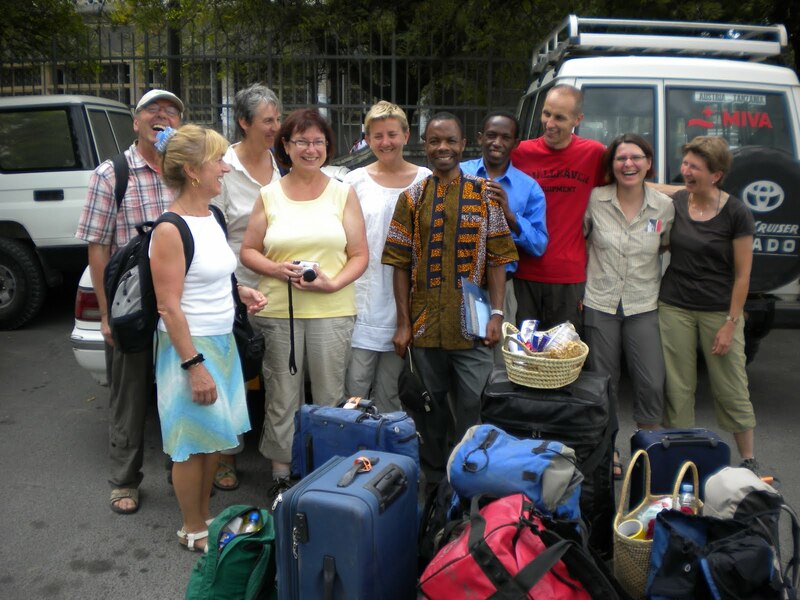 Ms. Petra has established a travel program in Austria whereby she arranges for people from Austria to come to Tanzania and enjoyTanzanian culture and the environment including wild life. While at Hanga Abbey visitors have the opportunity for a day to live with Tanzanian family to experience the real native life of an ordinary Tanzanian. This group of Austrians enjoyed emensely their stay in Tanzania especially the hospitality at the abbey. They promised to come again. 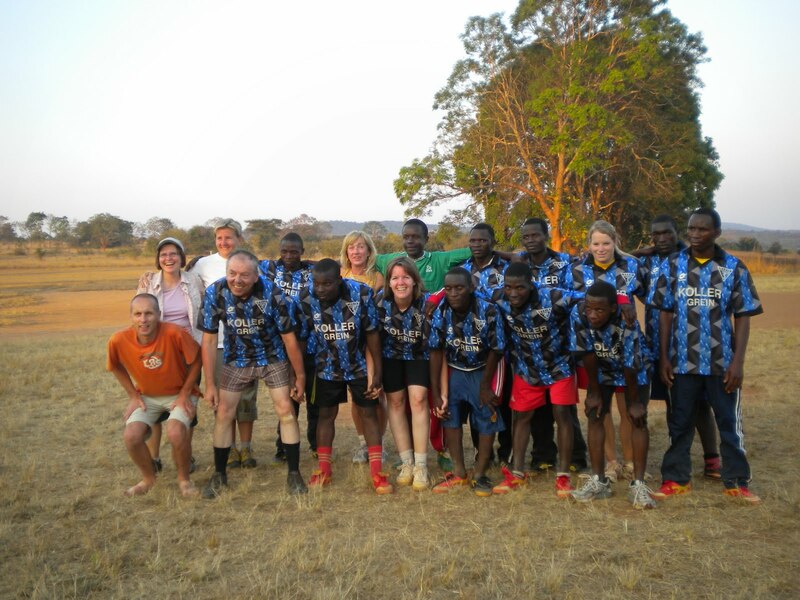 Visitors from Austria in a soccer team. 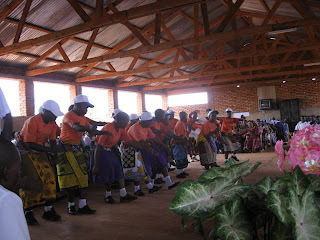 St. Laurent elementary (primary) school at Hanga is an English medium school; which means classes are taught in English as opposed to ordinary or most Tanzanian elementary schools that normally use Swahili as the medium of instruction. 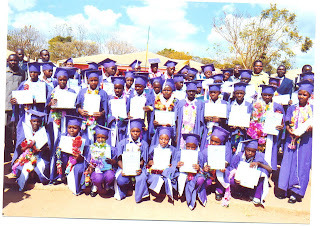 The graduating class of 2011 had 44 students girls and boys, making it the 4th graduation since the school was established. Their graduation was held late August and on the first week of September they sat for their final National examinations. 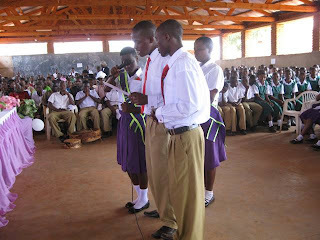 We are looking forward to their examination results. We are very optimistic that the whole class will pass as other classes in the past had done. 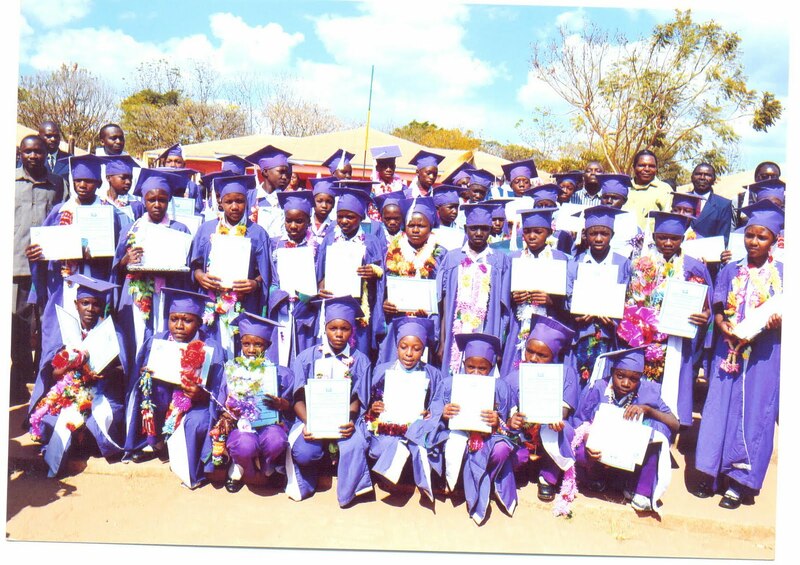 Congratulations to the pupils and staff members for preparing these children to be good citizens in the future. 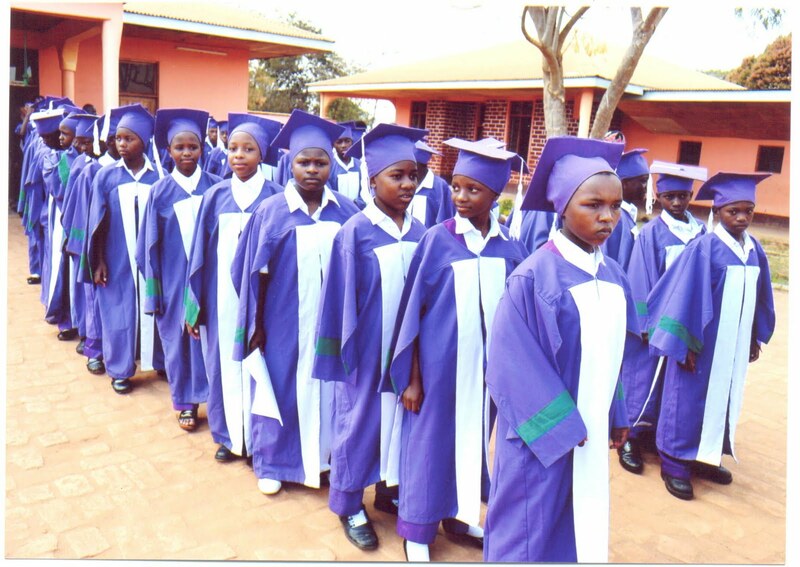 We pray and hope that the good moral formation they have acquired at Hanga will make them succeed in their endeavors. In Ausgust 2011, a group of doctors and students of optometry from Holland came to Hanga Abbey devoting their time to serve people with problems of vision. They brought with them spectacles and distributed to the people in need for free. Dr. Ed Tuhy from Klamath Falls, Oregon - USA had also sent some glasses for the purpose. As a matter of fact this is an endeavor he initiated back in 1009. 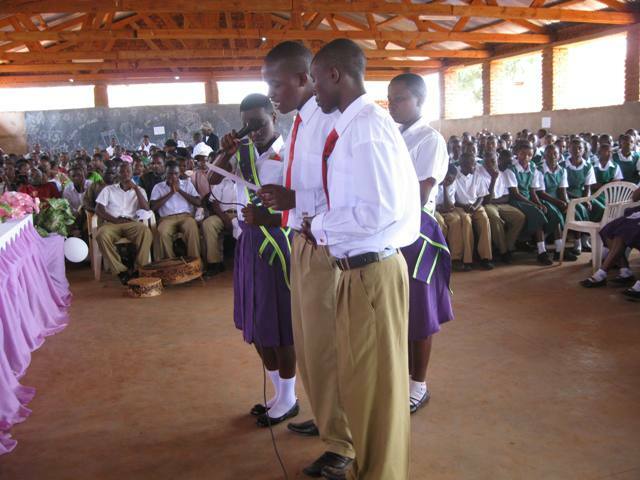 This project is hailed so much and thete were people fro all over the Tanzania. Our gratitude and congratulations to all the those who made this service possible especially to the group from Netherlands. In the photo is a group of optometrists from Netherlands.